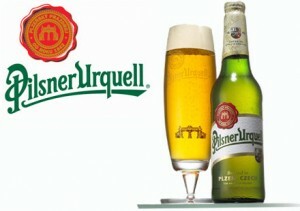 – this is a great place to enjoy the best Czech beer (as any Czech person would tell you): Pilsner! – you often have your own tap on your table… such a fun and convenient way to get a couple of drinks with friends, without having to bother standing up and waiting at the bar! One advice: if you’re looking at going there with a lot of friends, show up early… the place gets crowded rather quickly and is very popular! This entry was posted in Bars, pubs and tagged bar, cheap, czech, drink, night, pilsner, prague, pub, tap, urquell on September 15, 2011 by Nicolas.